Complete weather stations available for all applications and budgets. 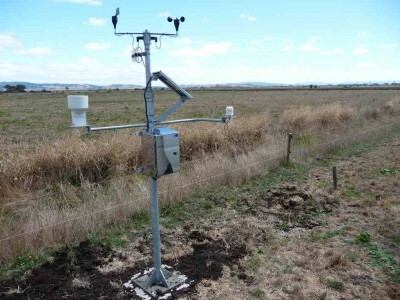 This fully automated Campbell Scientific weather station has been designed to fit underneath a pivot irrigator and includes soil moisture and PET (Potential Evapotranspiration). Can also be connected to your flow meter and/or pump power supply to help you improve irrigation efficiency. The ClimaVUE50 is an All-In-One weather sensor from Campbell Scientific that measures all common weather parameters found on a typical weather station. It communicates to any weather station datalogger using the SDI-12 protocol. This is our top grade weather station for agriculture & horticultural purposes. Our 10m fire weather station is the standard for fire weather monitoring in New Zealand. Sensors are selected to meet WMO (World Meteorological Standards) and sited carefully to represent the area of interest.